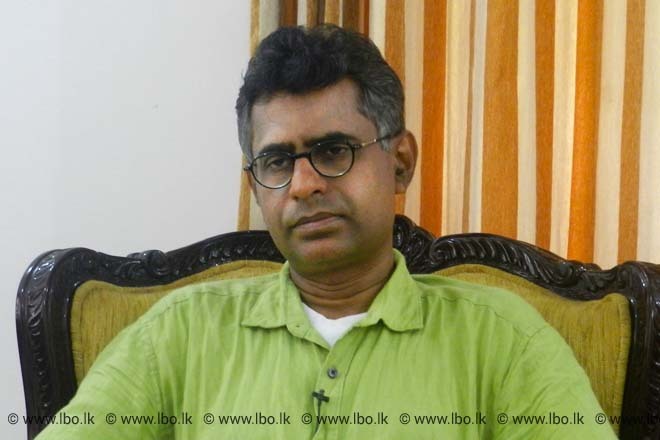 Oct 16, 2015 (LBO) – Sri Lanka’s new minister for the Megapolis, Champika Ranawaka, has big plans in mind for the region that spans the Western Province. A new transport plan will be unveiled in the next 2-3 weeks, while a Port City design has been included in the Megapolis infrastructure, he said. Commenting on transportation, he said it is important to get the sector right. “We have identified seven corridors that should be addressed in a multi-faceted way and they include design and regulation and we have to prioritize the alternatives,” Ranawaka, the minister for Megapolis and Western Province Development, told Lanka Business Online. We can have priority bus lanes, rapid transit system, monorail, underground trains or on surface trains as solutions, he said. Transport experts says that in the next 20 years, Colombo will have to cope with three times the volume of traffic as personal incomes rise and private vehicles become more affordable. Data shows that Colombo city accounts for over one-third of all travel within the Western province which generates 45 percent of Gross Domestic Product while the city’s population has steadily grown to over one million. “All are talking about monorail without having proper knowledge about our traffic formula and our economic cost,” he said. Public transportation such as railways are rarely profitable on an investment basis and requires long-term financing and investment especially from the state sector. This is especially if the services are equitable and affordable to the public. However they can be profitable on an operational basis. “We will not follow a foreign model when implementing the Megapolis concept here,” he said. Models adopted in other countries have positively addressed the problems originating from congested transportation networks that are creating diseconomies, which in turn affect the economic vitality and quality of life in the cities and regions. “Megapolis is an evolving thing and we will make the changes as we go along and it will be done with the consent of the people, we will not force them,” Ranawaka said. Commenting on the infrastructure plans, Ranawaka said that a port city is included in the Megapolis concept. However, when asked if there would be two port cities the Minister said that the two projects would be harmonized. There are some basic legal and environmental issues issues that need to be addressed in the China Port City so we are revisiting this, he said. The Minister also said that the marine drive along the coast will be extended from Colombo 3 to Galle face as part of this project. Speaking about environmental concerns Ranawaka said that sensitive zones have been identified and new green building codes would be adopted. “We have identified environmentally sensitive zones and plan not to do any development on these,” he said. Minister Ranawaka will be the Chief Guest of the openings session ““Cities Of The Future: What Do They Look Like, How Do We Build Them?” of the upcoming LBR LBO Infrastructure Summit in November. Please visit www.lbo.lk/summit for further details on summit.